How do I create objective maps? Learning objectives are statements that describe what a student should learn, know, or be able to do after completing a learning activity. Objectives can be defined by organizations, schools, course authors, etc. Most U.S. states define standard objectives in K-12 subjects, but not all states define the same sets of objectives. Once set up, you can align activities and questions to objectives to track student mastery of the objectives. You add objectives as part of an Objective Set, which is a collection of objectives that belong together. If a course needs to align activities with objectives from different sets, you can create an Objective Map to show which objectives should be correlated between those sets. Example: if Objective 1 from Objective Set 1 covers simliar criteria as Objective 2 from Objective Set 2, and you need students to meet both, you would correlate those objectives. This is most frequently done to align state standards with a national standard. Open Objectives using the Main Menu. Select Objective Maps and click the New [plus sign] button in the toolbar. Provide Name, External ID (optional), and Owner (optional) content. 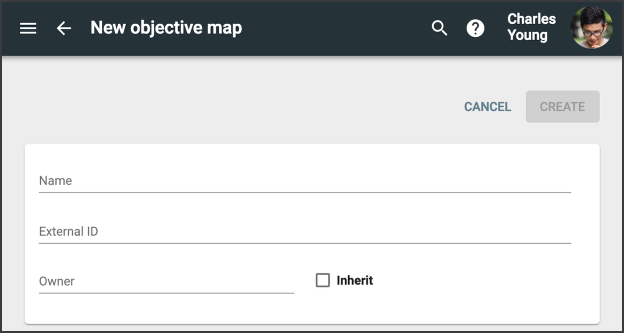 Check the Inherit box if you want these objectives to appear in child or sub-domains. Click the Objective Map ID for the map you want to add to. Select Mapping from the tabs bar. Click the New [plus sign] button in the toolbar to create a new map (this path continues below). Click the vertical menu in the toolbar and select Import to import an existing map. GUIDs for the Source and Correlation objectives; these are for organizational purposes only, and don't impact how the objectives are handled. The relative Weight to indicate the strength of the correlation. Higher numbers indicate greater correlation; if you leave all correlations with the same weight, they are treated equally. 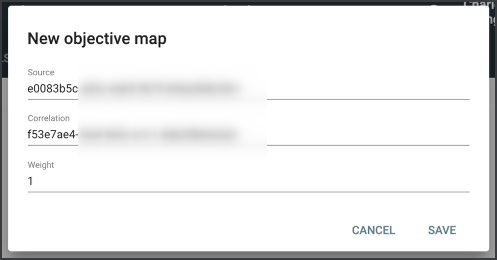 The map appears on the Mapping screen where you can Edit it or check the box, open the vertical menu in the toolbar and Delete it. Keep in mind that all changes impact subdomains. How do I use the Objectives tool? How do I integrate Turnitin (and other LTIs) with Buzz?